For a special edition of "Work It Wednesday"- I wanted to present a man who is a great mentor of mine, Mr. Tim Mead, Vice President of Communications with the Los Angeles Angels. Tim is a great example of working hard to make you career dreams become a reality. By example, he has taught me the meaning of being persistent and staying focused. When I first walked into my meeting with Tim Mead, Vice President of Communications for the Los Angeles Angels, I was curious and wasn’t sure what to expect. I had only met him by chance once before. In 2010, I had officially decided I wanted to work as a reporter, and worked eagerly to set up informational interviews with various media outlets including the Angels. After a year of persistent cold calling and emailing the media department at the Angels, I finally secured a meeting with an intern named Andrew Mealiff. It was there where I crossed paths with Tim Mead. If I can describe Mr. Mead, I would say he is passionately dedicated to the Angel’s entity. His love affair with the Angel’s began when he was still in high school. Tim knew he wanted to work in baseball. He admits he knew he wouldn’t be a professional player and looked for other ways to work in baseball. While still in high school he began writing letters to clubs asking what qualifications were needed in order to become a statistician. Everyone who responded to his letters advised him to go to college and get a degree. His future decisions revolved around the idea of working in baseball, and so he attended Cal Poly Pomona and earned his Bachelor of Science in Communications. Back then, there was only one internship opportunity with the Angels as opposed to today where there are eleven. He began writing letters to the Angel’s expressing his desire to work as their intern. Tim was rejected three times before the Angels called him to replace the previous intern who had quit. Tim knew this was his opportunity and never looked back. He started in June of 1980 as a “public relations” intern. He learned and adapted to the demanding changes of the Angels as he continued to climb the ladder. By 1985, he earned the title of “Director of Media Relations”, and by 1991 he became the “Assistant Vice President of Media Relations”. 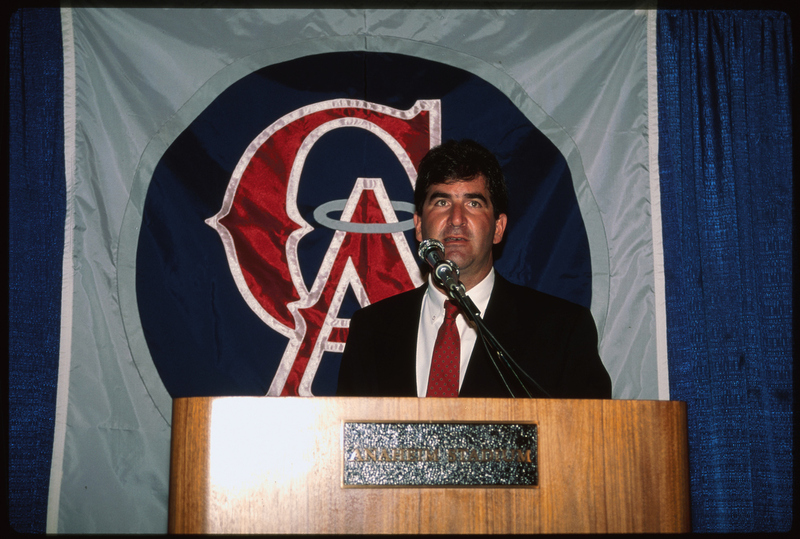 For four years (1994-1997) he even worked as an “Assistant General Manager” under the former GM Bill Bavasi. With the various job titles, came various responsibilities which has helped in cementing himself as a vital leader in the Angel’s entity. This proved to be true in 2011 when Angel’s made cuts within the departments. Tim went from managing seven employee’s to only three, which meant, responsibilities grew. Tim Mead describes his job as demanding, constantly changing, and with no real schedule, working all hours of the day. From the time he wakes, his mind is on the duties of the day, and when he leaves the office, his blackberry goes home with him. He responds to at least two hundred and fifty emails a day, not including text messages, and phones calls. His responsibilities are unlimited as well. As I ended the interview with Tim Mead, I came to understand two basic leadership traits Tim carries. One, he is not too proud to do the “grunt” work needed to make his entity a success, and two, he is truly passionate about what he does. Tim lives and breathes the Angel’s. It is a driving force in his life and he couldn’t picture his days outside of the stadium. I encourage you to stay focused on your goal. If you have a goal in mind, keep yourself focused on that one goal. Let every action you do add value to your goal until you have accomplished it. Have a great Work It Wednesday!